Cindy joined the board of UU Mass Action in 2015 and became president in 2016. She is a member of the First Parish Church of Littleton. Cindy has volunteered in a prison visitation program for the past five years and has been actively involved in ending mass incarceration. Cindy is also actively invovled with anti-racism/anti-oppression/multi-cultural work and a member of the Black Lives Matter working group. .
Rev. Aaron R. Payson has served as Minister of The Unitarian Universalist Church of Worcester, MA since 1999. Rev.Payson is also a founding member of the Unitarian Universalist Trauma Ministry Team (2002), and has responded as a Crisis Interventionist and Incident Commander to a variety of traumatic events impacting Unitarian Universalist Congregations and the communities in which they reside. Aaron currently serves as Treasurer of the Religious Coalition for Reproductive Justice , Washington, D. C., teaches the Sociology of Religion and the Sociology of Death and Dying at Worcester State University and actively participates in the Worcester Clergy Police Community Partnership program. He is also a Regional Good Officer for the Unitarian Universalist Ministers Association and Clara Barton District. Aaron lives with his wife Kristen and children Morgaine and Charles in Worcester. Patty Shepard is a third generation UU, born and raised in Arlington VA, who came to Boston to get an MSW and stayed on to work as a clinical social worker for almost 40 years. Now that she is heading toward retirement, she is enjoying having time to explore her interest in activism, starting with an Occupy Affiliation Group at the Winchester Unitarian Society and most recently, with UU Mass Action’s first Certified Working Group. She and her husband have two grown children. Patty is active with both her local church choir and an interfaith hospice choir, and has recently rediscovered her love for gardening. Nancy believes that upstream justice activities – working for systemic change – is vital for a peaceful, equitable, democratic society. During her 30 year public health career, she promoted the right to healthcare for all Americans. She marched for civil rights in the 50’s, against the Vietnam war in the 60’s, for the ERA and women’s rights in the 70’s (in Georgia! ), and for LGBT rights in the 90’s. 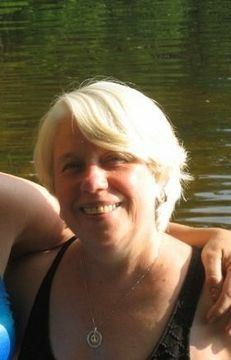 She and her husband are long-time UUs, now at First Parish Church in Duxbury, and have two children and five grandkids. Tony Rodriguez is a graduate of the Massachusetts Institute of Technology and Boston University. He grew up in Puerto Rico, where he attended Colegio San Ignacio (Jesuit high school). He’s been married to Janet for 45 years and has an amazing daughter, Nicole, teaching in the public school system. Upon his graduation from MIT he served in the US Army for four years. He spent the next 35 years working as an IT professional in the financial services industry. He retired in 2014 after 14 years as Vice President of trading systems at Fidelity Investments. Tony has been a member of First Parish in Concord (UU) for over 10 years. He’s a new board member of the Social Action Community of First Parish. Tony’s passion for Immigration Justice and Economic Inequality was re-kindled while leading two UU youth, educational trips to El Salvador, and trips to family detention centers in Dilley and Karnes, Texas. After retirement he has been volunteering with the Hispanic community in East Boston teaching math, english and civics classes. He’s also working with RAICES (Texas) as a volunteer advocate for the families released from the detention centers currently living in the Boston area. Tony’s native spanish is used to help translate for pro-bono lawyers working with Central American families. Alejandra has been an Unitarian Universalist since 2014. A friend’s family introduced her to First Parish Framingham where she immediately felt at home and never left. In 2016 she testified at at a State House hearing during which she described the loss of a 5 months pregnancy due to the working conditions she suffered as a laundry worker. Her testimony was influential in passing a new law that will protect pregnant workers in Massachusetts. She think that all social justice issues are important and should be address as a whole, as a human being is a whole. She is working in her community, building networks and create safe spaces where people can get closer, learn from each other and keep building a strong social justice movement. Nikki is Vice-President of the Board of Trustees at The Unitarian Universalist Church of Marblehead. She is one of the founding members of the Marblehead Racial Justice Team, started and moderates the Marblehead Conversations on Race. Having brought up her children in Marblehead she brings a unique understanding of what it is to be a black woman and parent of African American children in a majority white community. Nikki is committed to raising awareness and promoting opportunities that encourage diversity. She was a major force in getting the congregations full support in displaying the town’s only public display of a Black Lives Matter banner at her church in May of 2018. Diane is a retired software project manager who started out her career as a Sociology instructor and Ph.D. candidate. When she retired early from the financial services industry she made a few life changes and moved to the beautiful, and under-appreciated, North Quabbin area of Massachusetts. There she immediately found soul-mates in the volunteer organizers who have been running the annual Garlic and Arts Festival for the past 20 years (https://garlicandarts.org/). A celebration of the bounty of the Earth and the beauty of hand-made goods, this festival is green, clean, and mission-driven. wherever she finds an opportunity (UU churches and local libraries for now). to combine local and global wherever she goes.